This Place of Worship was founded in 890, but we understand it was closed in 1538. 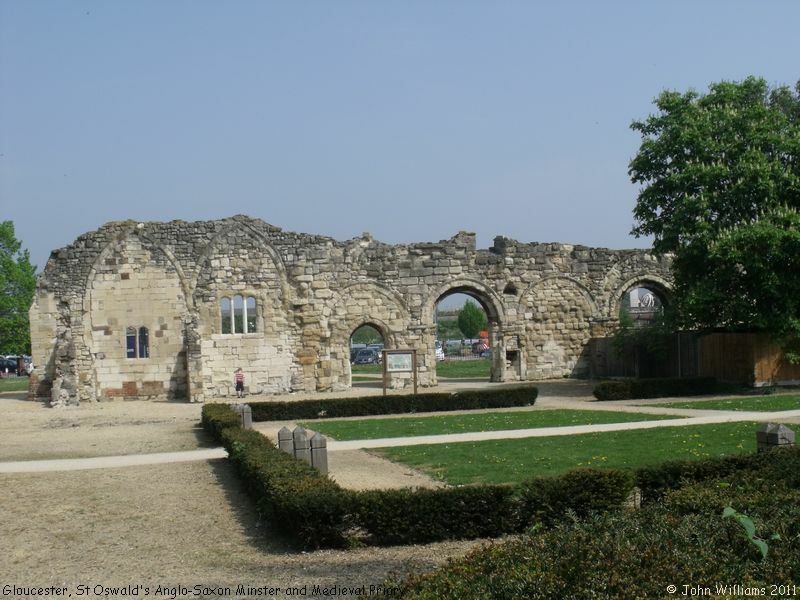 Now in ruins, St Oswald's Priory is Gloucester's oldest standing building. It was dedicated as "a house of secular canons to St Peter" in AD 890, and stood close to the royal palace of the Saxon Kings, after which the area of Kingsholm is named. It was rededicated to St Oswald in AD 909 by Æthelflæd, daughter of Alfred the Great, when she and her husband Æthelred, Lord of Mercia, "after a daring raid into Viking territory", brought the remains of St Oswald, the martyred King of Northumbria, from Bardney in Lincolnshire to rest here. St Oswald's is often cited as the burial place of both of its founders, alongside the remains of St Oswald. There is a fragment of one of the three tombs in Gloucester Museum. 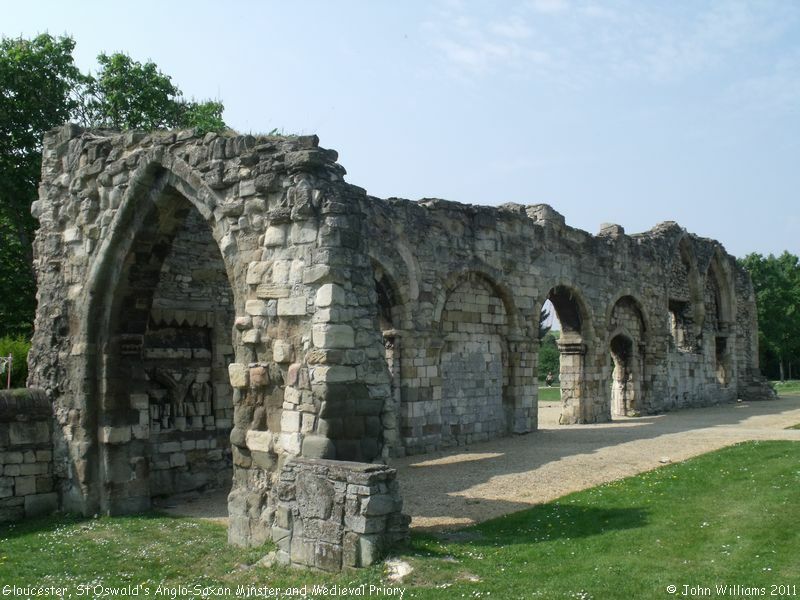 The priory was remodelled in the 12th century, but after the Dissolution it was largely demolished, except for one aisle, which in 1548 became the parish church of St Catherine. This was however damaged by royalist artillery during the Siege of Gloucester; and consequently in 1653, the City Council ordered its demolition - "showing remarkable thrift they used the stones to build a new market building". St Oswald's Priory (Ruins), Gloucester shown on a Google Map. Information last updated on 10 Nov 2018 at 15:38. This Report was created 19 Mar 2019 - 15:59:16 GMT from information held in the Gloucestershire section of the Places of Worship Database. This was last updated on 7 Feb 2019 at 07:45.